Sometimes it's all too easy to get caught up in the excitement of travelling somewhere new but it is also very important to consider the practicalities of travelling. 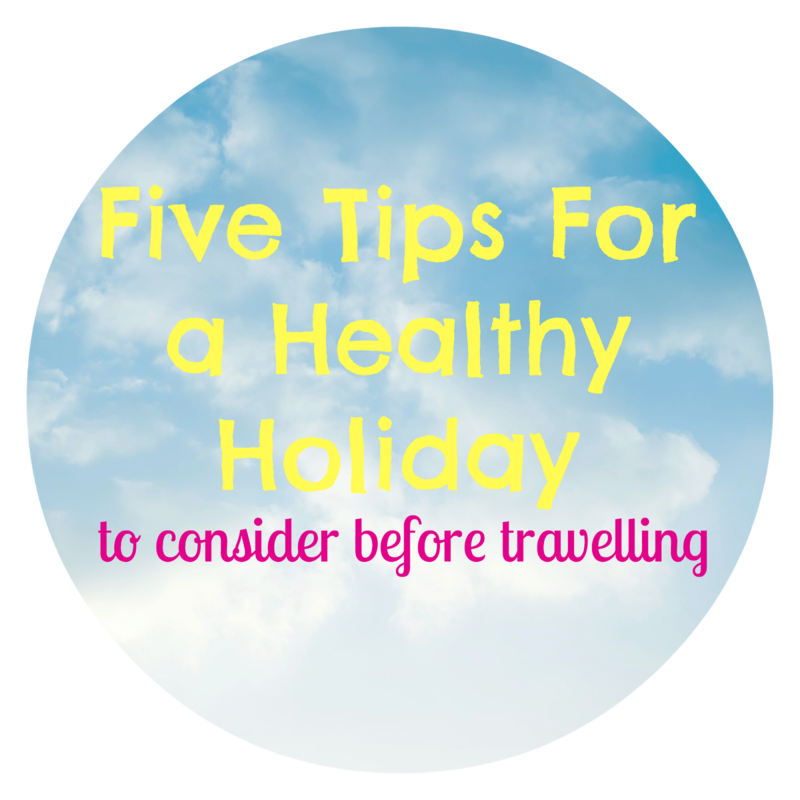 Today I've compiled our top 5 tips for a healthy holiday which you should start to think about at least 6 weeks before you travel. There are a few unofficial sites out there that may charge you for an EHIC card - make sure you use the official NHS EHIC site where you can apply for your free card. Make sure you do this at least 1 month prior to travel (cards will normally arrive within 7 days). Your EHIC card will enable you to access state-provided healthcare in European Economic Area (EEA) countries, including Switzerland, at a reduced cost, or sometimes for free. It will cover your treatment until you return to the UK. An EHIC card is not a substitution for decent travel insurance and you should always also purchase comprehensive travel insurance before travelling. I tend to use this guide from Money Saving Expert to find the best deals. Ideally 6-8 weeks before travelling it is a good idea to check if you require any travel vaccinations and have sufficient time to complete a full course of treatment. I would never travel without a basic first aid kit, especially when I am with my children. I usually follow this advice from the NHS and check I have everything they've mentioned in my luggage as I am packing. I don't know about you but we always seem to have more cases than hands when travelling with a family. We have started using backpacks alongside our suitcases which have made it a little easier for us. We have also looked into buying a wheeled backpack which may provide less hip and back pressure than a traditional backpack for our next trip - we'll try anything to make the task of carrying our luggage through the airport a little easier! It is a good idea to familiarise yourself with exercises you can complete during long journeys and flights. I like this simple exercise guide from Virgin which features 7 easy exercises you can complete from your seat.